It is axiomatic among students of the New Testament that the Cross and Resurrection of Christ are the bi-focal points of the Christian faith. The number of well-known theologians and New Testament scholars who advance the bi-focal approach is extraordinary in both quantity and quality, so that anyone who demurs should do so cautiously. I am especially drawn, nevertheless, to Luke’s interest in the ascension-enthronement of Jesus of Nazareth as the divine Davidic King when I think about the bedrock of the Christian faith. These hyphenated two words describe the journey and transformation (ascension) from earth to heaven and the investiture of Jesus as Lord and Christ (enthronement). Part of my interest stems from the fact that the Gospel of Luke and Acts are rife with references and allusions to this conviction about Jesus of Nazareth and ascension-enthronement. The Lukan account of the nativity of Jesus (Luke 1-2) is replete with allusions to the Davidic heritage of Jesus. The ascension-enthronement theme was presciently announced at the beginning of the major Samaritan travel section (Luke 9:51-19:27) when Luke writes, “When the days were coming to a close for Him to be taken up, He determined to journey to Jerusalem” (9:51, HCSB). The wording “for Him to be taken up” most naturally points to the ascension of Jesus. I like the fact that Luke did not finish his narrative about Jesus’ earthly life with only post-Resurrection appearances and conversations like we have in the Gospel of Matthew. Unlike the oldest extant version of the Gospel of Mark (which has no such post-Resurrection appearances and conversations between Jesus and his followers), Luke has appearances, conversations, and even more. It is the “more” that excites me, since it is only in Luke that we find the ascension of Jesus as the final redemptive act of the Gospel. For Luke, “Jesus’ earthly ministry ended on the day of his ascension” (Eckhard J. Schnabel, Zondervan Exegetical Commentary on the New Testament, Acts, Zondervan, 2012, p. 71). The simplicity of Luke’s statement is hard to miss when he writes, “I wrote the first narrative, Theophilus, about all that Jesus began to do and teach until the day He was taken up” (Acts 1:1-2a, HCSB). Little wonder then that upon investigation of the “first narrative,” we see that Luke did exactly what Luke said he had done, viz, he ends Jesus’ earthly life (“all that Jesus began to do and teach”) with the statement, “And while He was blessing them, He left them and was carried up into heaven” (Luke 24:51). To be sure, Luke was intentional in putting the ascension-enthronement at both the end of the Gospel and the beginning of Acts. In fact, they are virtually the same number of words from the end of the Gospel of Luke and from the beginning of Acts (respectively in the Greek text). 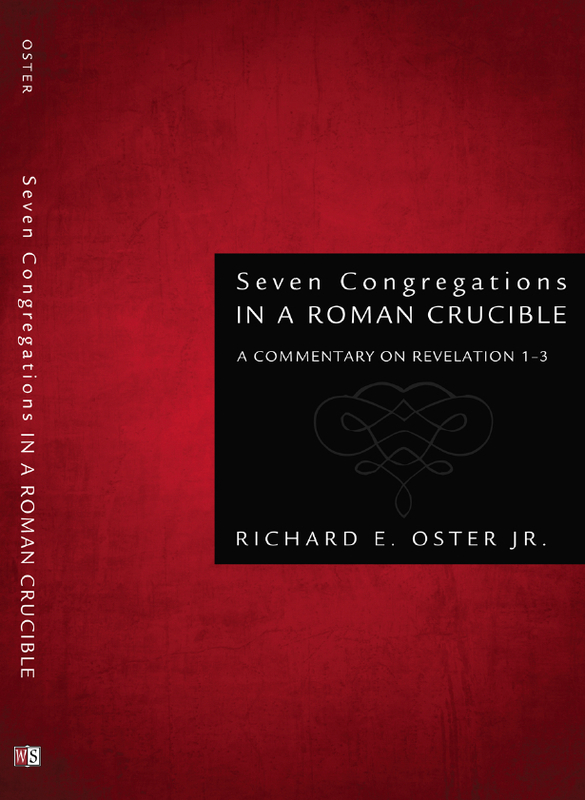 I want to suggest that this literary connection between Luke’s volume 01 and volume 02 should be regarded as more than a mere literary artifact from this profuse New Testament author. In Craig Keener’s words, “exaltation is the pivot on which Luke-Acts turns” (Acts, an Exegetical Commentary. Vol. 1, Introduction and 1:1-2:47, Baker Academic, 2012, p. 661). Indeed, this event of the ascension-enthronement of Jesus serves as an important theological and spiritual lens in Luke’s theology and through which one experiences “the events that have been fulfilled among us” by God (Luke 1:1). This depiction of Jesus’ ascension is not some Lukan window dressing to insert Jesus into competition with a dead-but-divine Roman Emperor notion. To be sure, Rome had an ascension, known as apotheosis, to confer divine status upon emperors well behaved at the time of their death. From Luke’s perspective, however, the ascension-enthronement of Jesus of Nazareth is not confocal with Rome’s regal pretensions confirmed by the Roman Senate. Rather, the ascension-enthronement of Jesus is the lynchpin of Luke’s writings and theology and would be there irrespective of the existence of a Roman apotheosis. In a fresh reading of Luke-Acts, one can see and appreciate how Luke employs ascension-enthronement theology to privilege various topics and themes such as redemptive history, christology, eschatology, pneumatology, and missions, to mention some of the important ones. Great!! You’re back to blogging. You were missed. Facebook just doesn’t lend itself to the type of posts you can post here. I save everything you put up, so keep ’em coming. Are you by any chance open to the idea of doing book reviews? I am fairly certain that the early Apostles and Gospel writers did not know the later iconography about Luke and the ox. What we can know from Acts and the apostolic preaching there is that the terms ἀγαπάω and ἀγάπη appear “Zero” times in Acts. There is not even a single occurrence of the noun or verb form of the classic Christian term for “love.” That needs to really sink in and sink in very slowly and very, very deeply into our theology, our theology of salvation and our theology of preaching. Thanks for this note here and in your other writings. Summary of the gospel as Jesus’ death, burial, and resurrection serves Paul’s discussion about the resurrection of the body in 1 Corinthians 15, but outside of that context such a summary is “truncated” (to borrow your own word). Preaching Jesus’ death and resurrection but not his ascension and exaltation is somewhat like reporting a government leader’s election but not his inauguration and all it sets in motion. Acts, Hebrews, and Paul’s letters lean heavily upon Psalm 110:1 to affirm that Christ is seated at the right hand of God. To omit or gloss over this aspect of the gospel is to obscure Jesus’ continuing ministry in heaven and on earth as well as a critical element for shaping ethical conduct in Christ (cf. Eph. 1:20; 2:6; Col. 3:1). Could it be that the Jesus on the throne, vested with authority to command and to judge (especially as pictured in the Revelation), is not so easily managed as the Jesus often conjured by pop culture? While certainly not an original question, it deserves to be asked, not to be harsh or lop-sided in emphasis, but to be fair with the text and honest with the human tendency to fashion God or his Son in our own image. I think we in the West certainly prefer someone who inspires us rather than someone who orders us around. Savior certainly falls more gently upon our ears than Lord and King. Here we see the enthronement of this man, Jesus of Nazareth, whom you killed and God raised. .
•	He was raised to sit on the throne at God’s right hand. •	Just as promised in God’s plan. •	This was God’s covenant with David in 2 Sam 7 to have a Son on the throne forever. •	And there he sits. In heaven at the right hand of God. So, now Peter returns to the O.T. and the plan of God to show that the son of David that became David’s king is our king also. •	And if you have little footnote, here he quotes from Psalm 110. •	Psalm 110 is the most important verse in Bible. used in God’s Word more than any other passage…by far. •	but the throne. The goal of all history was to get Jesus on that throne. He sums it all up. Peter says, this is what I want you to know for certain. •	This is the important point. From all of what Peter has said, this is what you must know. Peter will have none of that. Peter says this is the important fact that he wants you to know. •	Jesus, the man who died on that cross has been raised is now at this very moment on the throne at the right hand of God Almighty as King and Christ. •	From the very first sermon it was made clear, that the only way into this kingdom was surrender to this king. •	Being under the Lordship of Jesus Christ was not optional. And the crowd saw that. •	They saw the point that Peter wanted them to see. And they responded. •	This was not a talk to edify or encourage. It was a talk to convince and convict it and demanded a response. Thanks for your extensive comments.